John Higgins admitted he was fortunate to win a late-night battle against Dechawat Poomjaeng 6-5 to reach the second round of the Betway UK Championship. After the shock exits of Shaun Murphy and Ryan Day earlier in the day Higgins looked in danger of becoming another high profile casualty in the first round in York when he frittered away leads of 4-1 and 5-3. He made a break of 101 in the fourth frame but otherwise struggled for fluency as Thailand’s Poomjaeng battled back to 5-5. Amateur cueman Poomjaeng had two early chances in the deciding frame but missed one red to a centre pocket and another to a baulk corner. Gritty Higgins made a crucial break of 60 which proved enough for victory in a match which finished at 12.30am. Three-time UK Champion Higgins now faces a tartan tussle against Alan McManus in the last 64. “That’s the way I have been playing all season, it’s no surprise to me how badly I struggled there,” said 43-year-old Higgins. “I was really lucky because Dechawat had a good chance in the last frame, if he had potted the red to the middle I would have fancied him to make a frame-winning break because all the balls were there. 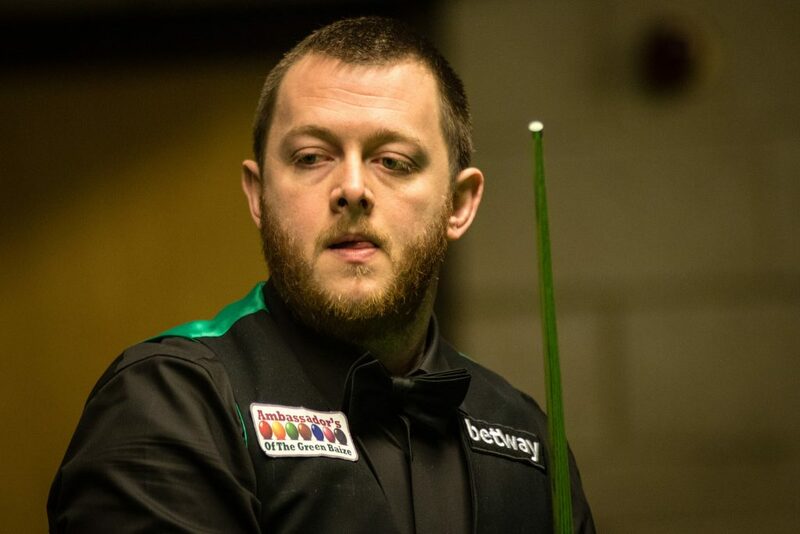 Mark Allen enjoyed a comfortable 6-2 win over Basem Eltahhan, compiling runs of 97, 126, 73 and 128. His next opponent will be Peter Lines or Rory McLeod. Thailand’s Thepchaiya Un-Nooh beat Jimmy White 6-3 with top breaks of 81, 84, 83 and 110. Local favourite Paul Davison, from Pickering, saw off Stuart Carrington 6-1 with a top run of 77. European Masters champion Jimmy Robertson made a 133 in a 6-4 win over Jordan Brown while Yushan World Open finalist David Gilbert top scored with 128 and 122 in a 6-3 win over Ashley Carty.